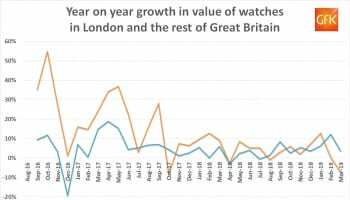 The Federation of the Swiss Watch Industry has reported a year-on-year drop in exports to the UK in June, but retail watch sales in Britain were still rising, according to market intelligence expert GfK. 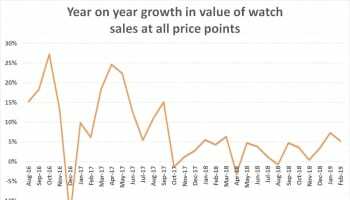 In figures that will be analysed in full in the August edition of WatchPro, GfK’s Gilly Netherwood reveals that June sales rose by 6.4% in June. The apparent contradiction is explained by the Swiss federation releasing sales into retailers (i.e. exports int the UK), while GfK reports sales by retailers to the public. 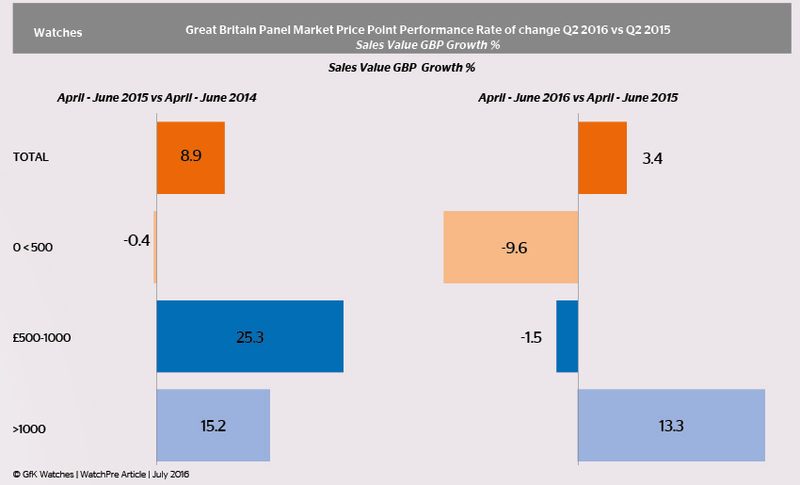 The strong June followed a positive quarter for the UK, with Q2 revenue rising 3.4%, despite being the month of the EU Referendum. 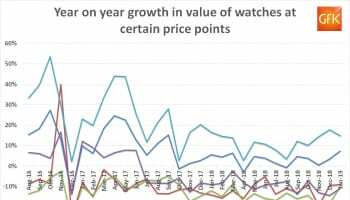 Luxury watches were the star performers, with sales of watches worth £1000 or more rising by 13.3% while fashion watches selling for under £500 saw sales fall by 9.6% in the April to June period compared to the same quarter in 2015. Ms Netherwood reports that online sales are particularly strong in the UK, particularly for the sub-£500 watch category. 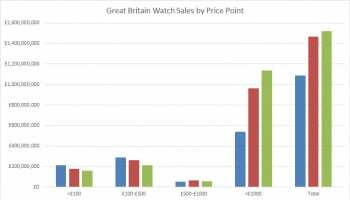 80% of watches sold online cost less than £500, GfK says.